The outdoor lifestyle is the inspiration for almost all EzyDog equipment. Our backpacks are built for all for your escapades in nature. We want you and your dog to approach every outing with the proper gear to make the most of the journey. EzyDog offers two different choices for backpacks that come loaded with features that your small dog will love. The Summit Backpack is also a great choice for your adventures with your small dog. In sizes S – XL, there small is typically the best size of Summit for your small sized dog. It features EzyDog’s award winning EVA Chest Plate as an anchor to the backpack, which keeps the pack form fitting and in place. Each bag is made of ripstop material with waterproof zippers. You can attach a leash to the d-ring and there is plenty of reflective for low light visibility. The Convert Harness with Saddle Bags comes in sizes S – XXL, so your small breed dog has a sizing option too. 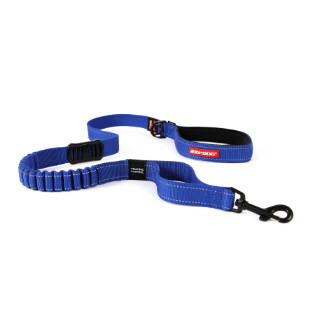 The rugged and practical Convert Harness is adjustable and is available in 3 colors. It is reflective, features a magnetic grab handle, has a durable polyester outer shell with a soft cotton lining to keep your pooch comfortable and happy. There is a Velcro attachment for side badges where your dog can display a message whether it is “Ask to Pet” or “Service Dog”, this will let others on the trail know more about your dog before engaging with them. Add a Small Saddle Bag set to the Small – Medium Convert Harness to convert your harness into a backpack. 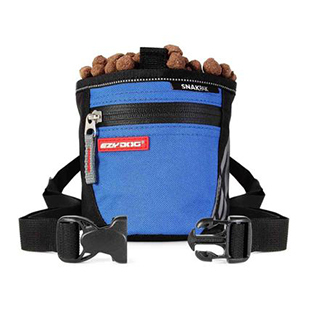 These saddle bags offer numerous features. They are simple to securely attach to the harness. The saddle bags are made of ripstop material and use waterproof zippers. They are reflective and you can even attach the Convert Badges to display your message. Hit the trail in comfort and style with an EzyDog Backpack for your small dog. Now your hiking buddy can carry their own gear and you can focus on the trail ahead.